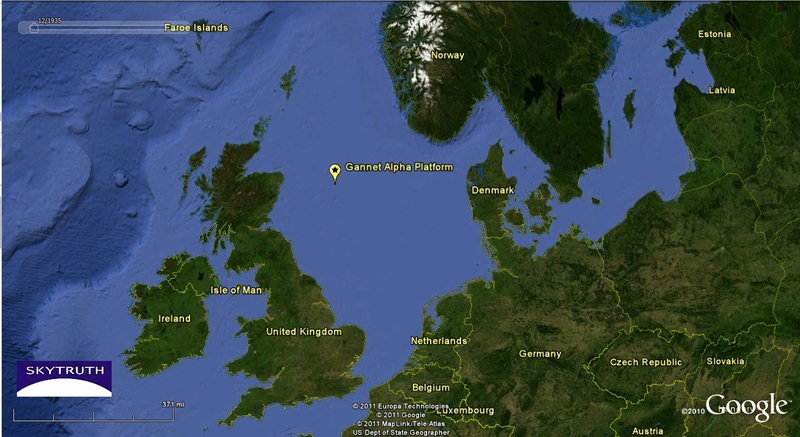 Shell has reported an oil spill at one of their platforms in the North Sea. They haven’t disclosed the size of the spill; we’re looking for satellite imagery to see if we can learn more. 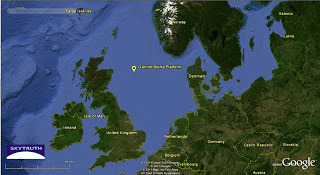 Map showing location of Shell’s Gannet Alpha platform, installed in 1993. 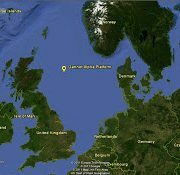 The Gannet Alpha platform, co-owned by Shell and Exxon, is located about 110 miles east of Aberdeen, Scotland, in water 95 meters deep. We’re waiting for more details; from the news accounts of a leak in a “flow line” we surmise that one of the gathering lines in this field has failed. Like Shell’s massive Perdido project in the deepwater Gulf of Mexico, multiple wells on the seafloor scattered throughout the area are tied back via gathering pipelines to the Gannett platform for processing. Click here to see details about the Gannet field, pics of the structures, and a schematic diagram of the infrastructure.